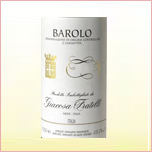 Vinification: Mature in wooden casks for 2 years and 1 year in the bottle. 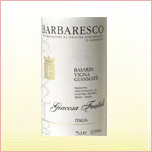 Vinification: Mature in oak casks for 2 years. From ruby red when young, to garnet red with age. Ample and persistent, flowery with hints of rose, complex up to leather and tar. 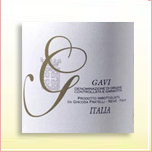 Intense but delicate: reminiscent of violets and fruit. Dry, full-bodied, smooth, and delicately velvety. Less austere than Barolo. Rather clear straw yellow, with greenish glints when young. Intense, pleasant. Reminiscent of apples and white flowers.